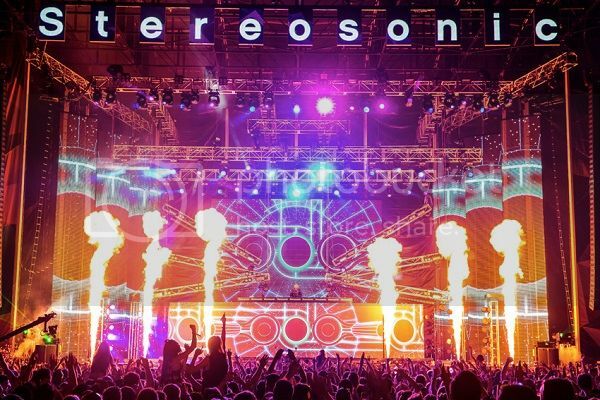 The original founders of the iconic Australian music festival Stereosonic, Richie McNeill and Frank Cotela, are looking to step back into the festival production scene following the disappointing fate of their original brainchild. If you haven’t already heard, SFX Entertainment, the company to which McNeill and Cotela sold their production company Totem Onelove back in 2013, has been downsizing quite a bit since they’ve declared bankruptcy. SFX announced earlier this year that Stereosonic in particular would be taking a hiatus in 2016, in attempts to return “bigger and better” in 2017. McNeill told Mixmag that he doubted the festival would return next year, though. He was not involved with Stereo in 2014 nor in 2015, but McNeill has worked in different roles within his Totem Onelove company over the years, under SFX. So naturally, following the recent turn of events, he’s set out to start two new music festivals of his own once again (one of them being a camping festival), to bring back the love to the Australian festival scene. He has not officially teamed up with Frank Cotela as of yet, but the possibility of the duo team making a comeback is there. “Sure (I would work with him). Frank is great. He has always been forward thinking and we share a passion for the music and putting on shows,” McNeill said.